Fogo de Chao menu prices at your fingertips. Fogo de Chao, a Brazilian steakhouse, introduces patrons to a centuries-old tradition from Southern Brazil which is named Churrasco. This tradition roasts various meats over pits of open fire to seal in the rich flavors. At Fogo de Chao, gauchos (cowboys) continue this tradition by expertly grilling 16 types of meat and offering it to customers on a continuous basis and carved tableside. Guests choose sides from an extensive salad and vegetable bar called the Market Table. Below is the latest Fogo de Chao menu with prices. This is the combination of several important factors that together make the Fogo de Chao experience one-of-a-kind. Trained Gaucho Chefs make sure to select and prepare the best cuts of meat. The Market Table is presented with fresh vegetables, delicious soups, and crispy salads. And finally, Gauchos bring it all together by serving guests with Brazilian hospitality. Fogo do Chao gift cards are the perfect gift for group dining. Guests can order traditional gift cards online and have them delivered to the recipient via postal service or guests can order e-gift cards and they will be delivered to the recipient’s email inbox instantly. Reservations are not required but highly encouraged during holidays and weekends. Reservations can be made directly via the Fogo de Chao website or by calling the location. 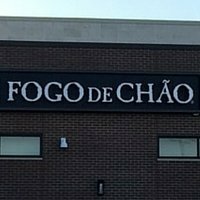 Each Fogo de Chao location offers semi-private and private rooms for all occasions. Fogo de Chao offers a unique Brazilian dining experience for different types of events such as corporate meetings, birthdays, or graduations. Guest should fill out a Group Dining request form online. Their knowledgeable and attentive staff will ensure your event will be a success. Guests can join the Fogo de Chao EClub and be the first to know about the latest news, special events and unique promotions. Sign-up is quick and free. Fogo de Chao is always looking for self-motivated, high energy candidates that enjoy working in a fast-paced environment and want to introduce guests to the culinary traditions of Brazil. Interested candidates should check out the Employment page on the official Fogo de Chao website to learn about the culture, the people, and the traditions plus browse the list of current openings. It all started when two brothers left their farm in southern Brazil to complete formal training in the art of Churrasco. Eventually, they ended up in Porto Alegre and opened up the first Fogo de Chao for the public to enjoy. The two brothers gained a loyal following both locally and internationally. Plans were set in motion to bring the unique culinary experience of Fogo de Chao to the United States. In 1997, the first Fogo de Chao restaurant opened in Dallas, Texas. As of April 2015, Fogo de Chao is a publicly traded company listed on NASDAQ under the ticker symbol FOGO. There are 29 American locations and 9 Brazilian locations. For more information about Fogo de Chao, visit their official website.